Come out to Whispering Rise Pig Sanctuary and spend a day helping the pigs while also enjoying the company of fellow veg*ns and animal lovers!! We will be doing farm work of some variety, but there will be plenty of opportunity to mingle with the pigs! 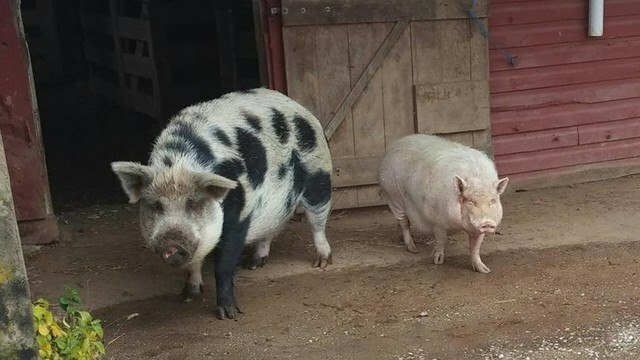 🐷 This volunteer day is organized by the Animal Advocates of South Central PA and we welcome any and all who would like to help the animals to come! It might be chilly – wear layers and shoes that can get dirty! The official hours of the event are 9 am-noon, but feel free to stop by for whatever portion you are able to, if you can’t stay the entire time. If you are unsure of how to get there or would like to carpool, post a message in the event discussion and someone will reach out to you.